Beautiful illustrative butterfly wall sticker. 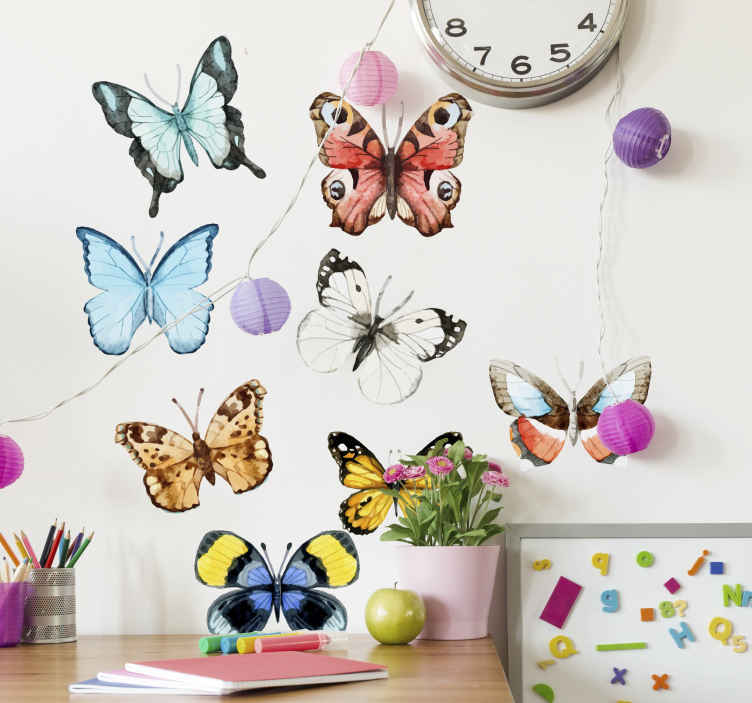 The bright wall sticker features lovely butterflies with many different colours. Creates a fresh, peaceful and natural atmosphere. This decorative sticker looks best in a living room or bedroom setting. The nature wall sticker is easy to apply and you can arrange the butterflies to go in any position you want! Our wall stickers are made from anti-bubble vinyl and leave no residue upon removal.